The launchpad is used to trigger and control a mlr-style live looper, called LLOLL, that holds all the live tracks. The BCF controls pre-effects like distortion and delays, as well as the levels of the eight looper tracks. The nanoPad is used for fingerdrumming via MicksKix. The nanoKontrol is used, among other things, to control the different velocities of chords and arpeggios that are generated from MIDI input from the MPK keyboard via OctoDactylus. 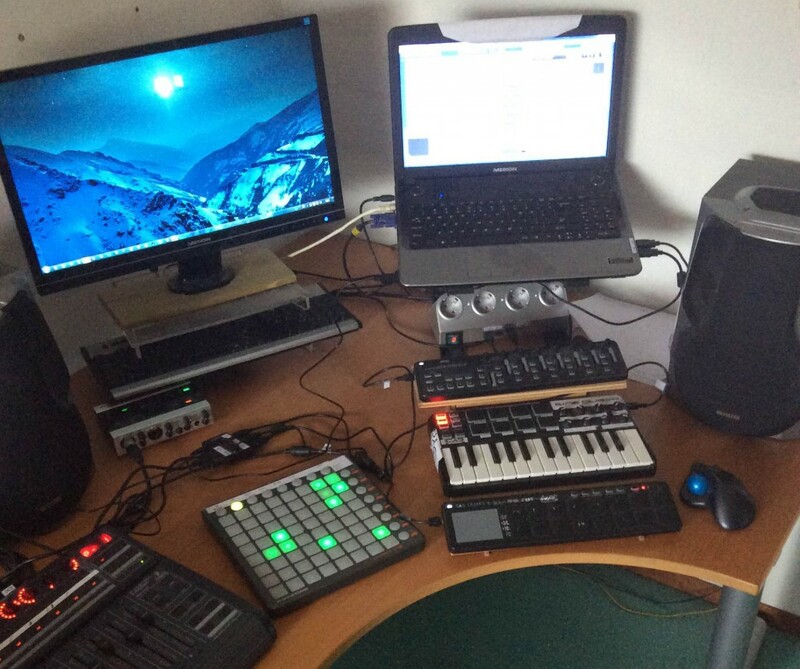 On the Music page (under ‘Showcase’) you can listen to compositions and loops made entirely on this setup. I would also like to invite you to listen to some longer mixes on my mixcloud page as well.